R&M Dietetic is Mel Martin, nee Rendall and Lee Martin, two Registered Dietitians (RD) living and working in London. 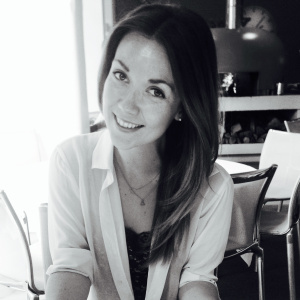 Mel Martin RD is a clinical lead paediatric dietitian currently working in an NHS hospital in London. Mel trained at the University of Nottingham and graduated in 2009. She has over 8 years experience working with children and infants on the hospital wards, running outpatient clinics and managing children in the community with tube feeds. She has held roles in a number of London NHS Hospitals, as well as the community working in central London and an acute role at The Portland Hospital for Women and Children. Mel’s main specialities are supporting and advising parents and children who have allergies, gastrointestinal conditions, feeding difficulties and who require short or long term tube feeding for a range of medical problems. Lee Martin MSc RD is a specialist gastroenterology adult dietitian with 10 years experience working within the NHS. In 2011 Lee completed the accredited FODMAP training course at Kings College London – a new and revolutionary evidenced based treatment for Irritable Bowel Syndrome (IBS). Since completing the training Lee has set up a specialist IBS & FODMAP clinic. Lee brings excellent experience in the use of a low FODMAP diet. This innovative approach for improving IBS symptoms has been shown to be effective in approximately three quarters of the people who try it when seen by an experienced dietitian. 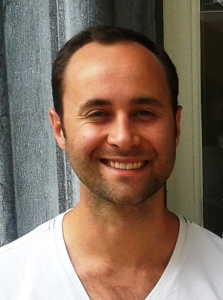 Currently Lee works at University College London Hospital (UCLH) as a Specialist Gastroenterology Dietitian. Here he provides group education on the low FODMAP diet alongside one to one expert advice for functional gastrointestinal disorders and inflammatory bowel disease. Recently Lee has taken on a trustee role at the national charity for people living with irritable bowel syndrome the ‘IBS Network‘. Lee has authored the book ‘Re-challenging and Reintroducing FODMAPs – A self-help guide to the entire reintroduction phase of the low FODMAP diet’.This is the first ever book dedicated to the reintroduction phase of the low FODMAP diet and is available on Amazon worldwide. Lee is also featured in the media speaking about the research and practicalities of the low FODMAP diet. R&M Dietetic created the blog ‘Two Dietitians Do The FODMAP Diet’ in 2013 and this has evolved into the website R&M Dietetic. We originally started the blog to detail our experiences of following a low FODMAP diet. Completing the low FODMAP diet from start to finish has enabled us to give the best advice to our clients. We wanted to try the diet ourselves not only because we can suffer with symptoms of IBS but to increase our knowledge on the practicalities of following the diet. We hope our ‘FODMAP blog‘ will continue to help inform and inspire those who are advised to follow the diet by their dietitian. We have included information on shopping, eating out, recipes, research and plenty of other tips and advice. We continue to add up to date information on the low FODMAP diet, and we also detailed our recent 11 month around the world travelling experience of following a modified FODMAP diet. The FODMAP blog is not intended to replace or represent professional medical advice, which should always be individualised, and if you are thinking of following the low FODMAP diet then please seek advice from a qualified healthcare professional first. It is important any underlying medical conditions are identified and treated before starting the low FODMAP diet as a treatment for Irritable Bowel Syndrome (IBS). Read our information sheet on what to do “Before the low FODMAP diet” for clarification. There is lots of information on the web on FODMAPs, some good and some not so good. Even if the advice is completely correct, individual sensitivities to foods will still exist and professional advice from a registered dietitian (RD) should be sourced to ensure your diet has the correct balance of nutrition that benefits you as an individual. One final note; the research into FODMAPs is on-going and many foods are being tested and retested and then updated into the Low FODMAP diet. You may find older blog posts on here which have not been updated to the newest research – although we try to keep all articles on this blog updated regularly. You should always trust the most up-to-date information provided to you by your healthcare professional. We pay a premium for this website not to include adverts on the blog however from time to time we may work with specific companies. If this is the case we will make this clear on the website. This way we can control the types of information companies would like to advertise to you. We are registered with the Health and Care Professions Council and members of the British Dietetic Association.